Doggo is clearly the pride of the collection. I've been following your collection on instagram forever! It's so amazing man! I've bought a few customs from yahoo auctions myself, and I love that others on the community like collecting them as well! oh wow haha, what's your instagram so I could follow you back? 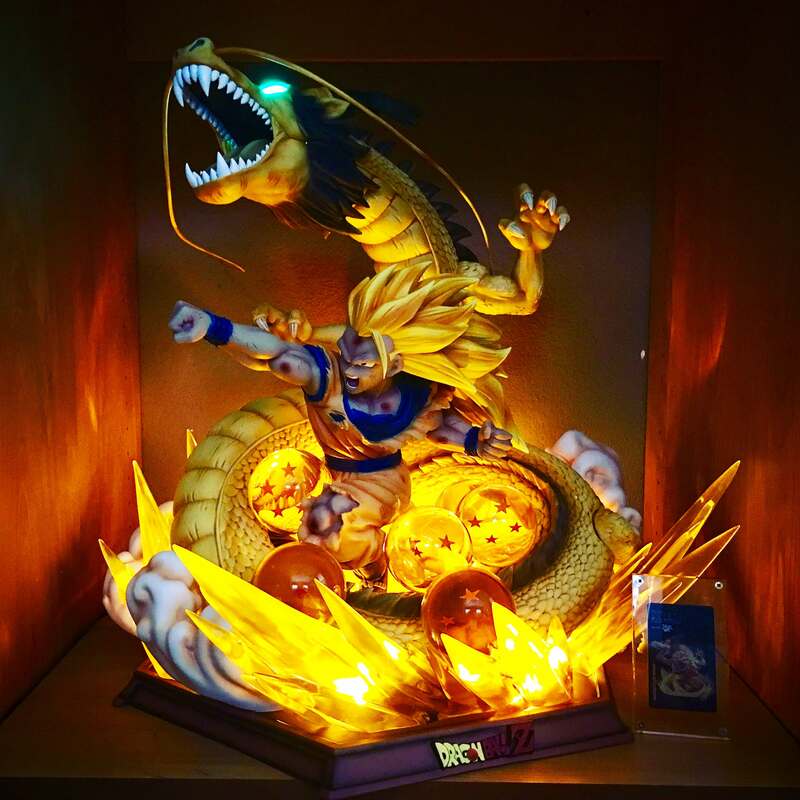 It's the Dragonfist Explosion resin statue from XCEED Studio. That's sick! What are the dimensions?! Hawlee sheeeeeeeeeet! That almost weighs as much as me! what the heck you only weigh 80lbs? No 150 but That's huge! omg! that ss3 goku statue is gorgeous! ehehe thanks. I had to wait about 4 months for it to arrive, but it's definitely worth it.